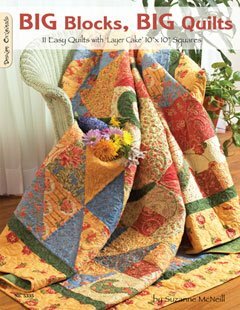 We have just taken stock of Suzanne McNeils latest book, BIG Blocks, BIG Quilts which looks at creating exciting quilts using the Moda 10" square Layer Cake Format. There are 11 quilts designs in this new project book. 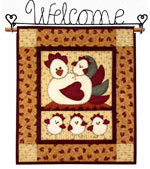 Free Quilting Arts 2009 Calendar when you take out a pre-paid UK subscription. 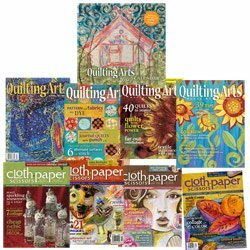 Take out a 6 or 12 issue subscription before 31st January 2009 and we will send you a free Quilting Arts 2009 Calendar, worth £9.95, while stocks last. The Quilting Arts Calendar 2009 is just one of the Patchwork and Quilting themed Calendars that we provide. 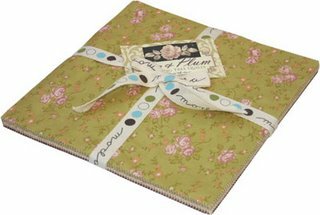 There are, for example, Calendars from That Patchwork Place, Thimbleberries, Debbie Mumm and Piecemakers. There is a new section devoted to Moda Patchwork Fabrics, one of the largest and best known fabric manufacturers in the States. 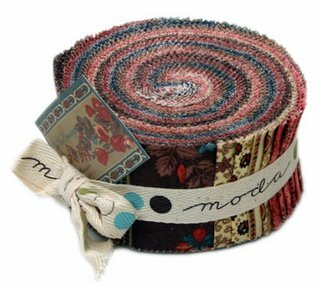 Moda Strip Rolls have been one of the success stories of the last year or so and we have a number of new Strip Rolls, including Heritage, Fig & Plum and Civil War Crossing. These fabric ranges are also available in Charm and Layer Cake format. As well as these precut Packs. There are a number of ranges with fabrics by the metre as well as the Moda Marbles range.